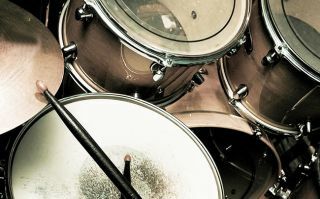 The passion for sound research with simple instruments and with versatile characteristics capable of offering a great personalizeable sound platform, starting from the well known sounds of Blues, Rock and Funky. The Delay is particularly warm-sounding and capable of maintaining unaltered the tones' set previously chosen by the player. Switch Selector with infinite function and cut of the decay. 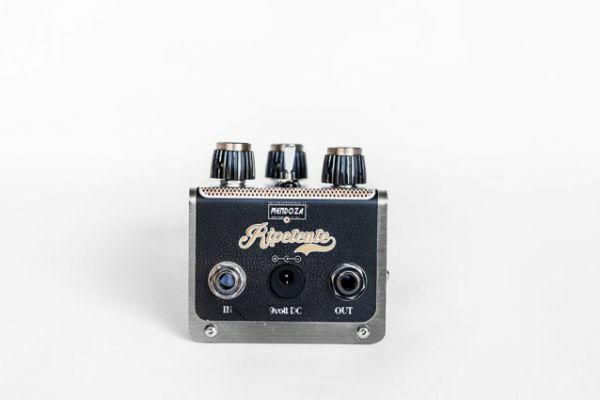 RIPETENTE is a natural sounding digital/analog delay, which has an analog direct signal path. 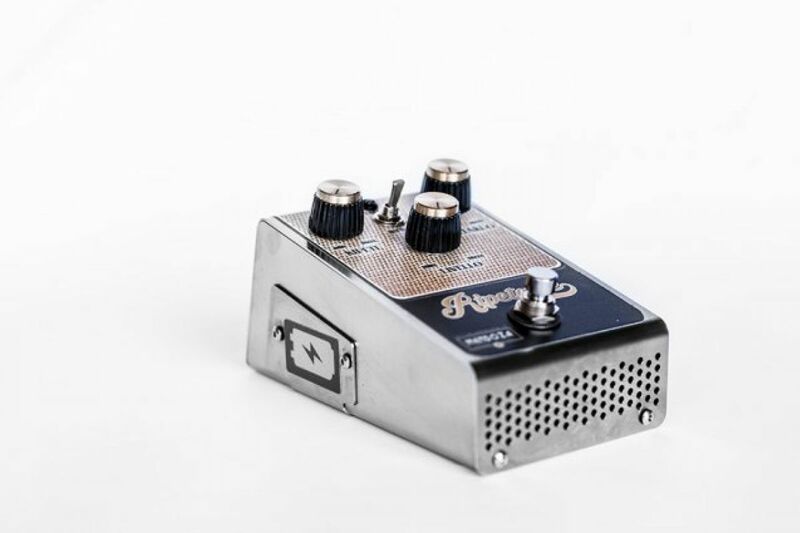 RIPETENTE has about the same bandwidth as the classic tape echo units, and it can be used in front of an amplifier or combined with amplifiers with many effects in loop. There are no noise reduction circuits and this choice was made to keep the echo's decay as natural as possible. The direct signal path has been shortened and realized with analog amplifiers without any filtering. The echo signal is provided with an appositely tuned filtering which allows extreme settings without causing any interference in the sound quality, so there will be no distortion or tone colour added as long as the input level is in range below the maximum allowed. 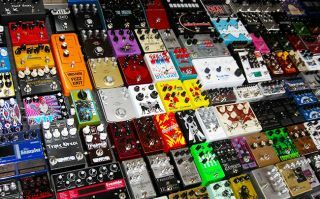 It is possible to use the pedal before or after the distortion. 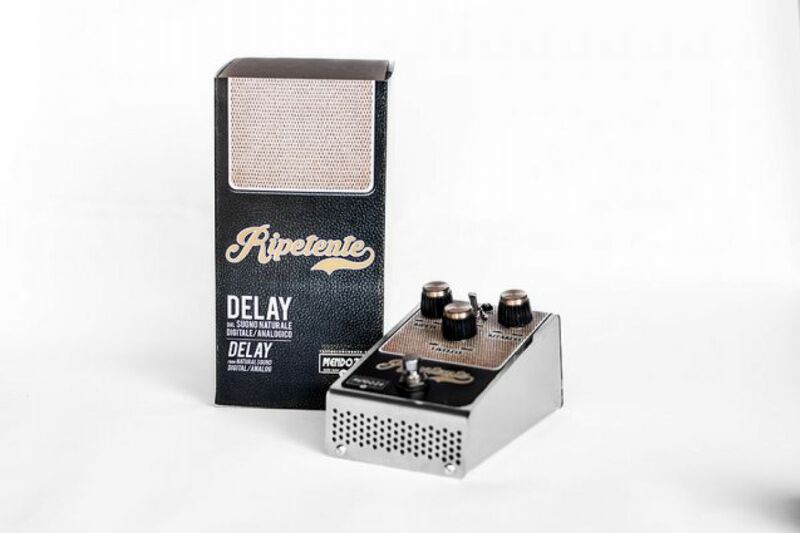 This delay pedal is specially designed to work well with distorted tones, which usually are the most critical application for many other delay pedals, and where the delaying of the sound often fails; and to work exceptionally well when used on clean sounds, whose requirements are less stringent in terms of echo bandwidth and repeat formation. Sets the level of delayed signal mixed with the straight, un-delayed guitar tone: fully CCW there is only straight (un-effected) guitar signal heard and fully CW gives the loudest delay. This feature Controls the delay's timing from 10ms (fully CCW) to 580ms (fully CW). Controls the repetitions of the delay signal, tuned fully CCW gives one repetition and tuned fully CW you get infinite feedback. Controlled by a switch to cut the infinite delay by offering greater versatility and control the effect of two operating positions. The Delay is particularly warm-sounding and capable of maintaining unaltered the tones' set previously chosen by the player. The "Repeat" feature, if turned off, offers the possibility to keep the delay's level as set but at the same time cuts the repetitions providing a particular sound recalling the U2's guitar's one. 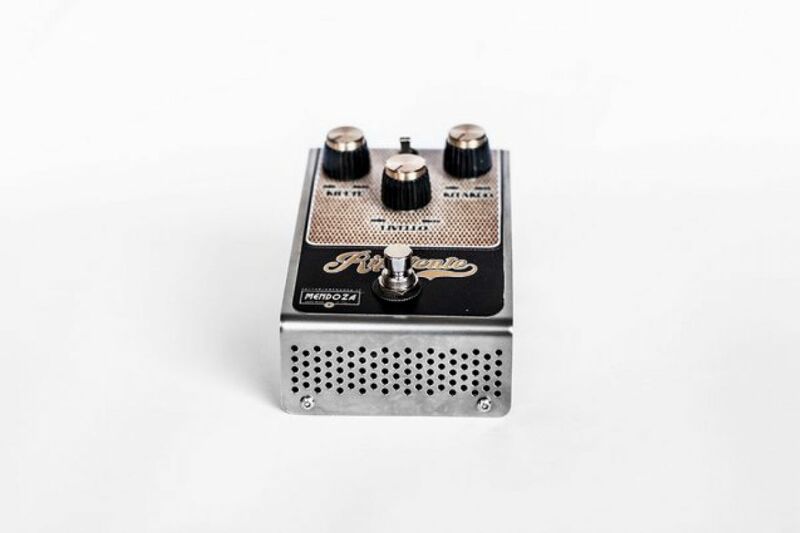 The setting taken as an example is just one of the many possible combinations that this useful pedal can provide to your guitar's sound. One pedal, never ending possibilities. 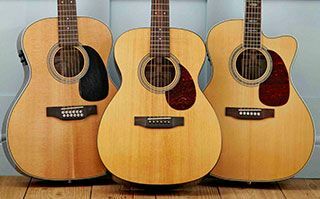 Looking for your new acoustic guitar?